The struggle continues over who can claim ownership of the colors, threads and shapes of indigenous weavings. and a corte from Totonicapán as the inner lining. “The women no longer knew how to weave,” recalled Angelina Aspuac, a 40-year-old community activist from Santiago, Sacatépequez. In the Mayan community, where the huipil and corte have been integral elements of culture, the observed loss of weaving became a call to arms. Much might be lost without their weaving. “We saw a great problem that each day there were fewer and fewer weavers in the department of Sacatepéquez. We could not make our own clothing, and it became evident that we were dependent on buying everything outside, including our clothing, our food. We recognized that this could not continue,” Aspuac said. Historically the Maya depended on weaving for subsistence. The autonomous production of clothing, along with food production, kept them warm, self-sufficient and independent of the Spanish power elite. The regionally color-coded designs on women’s clothing were reminders of story, roots and identity. At 32, Aspuac entered a weaving class sponsored by the Asociación Femenina para el Desarrollo de Sacatepéquez (AFEDES) to learn the skills that most Kaqchikal girls had acquired beginning at age 7. This was in 2010 and many changes had already arrived to the Mayan world she inhabited. “I don’t know if it had anything to do with being so close to the capital, something [had] happened. There was a rapid loss of the identity, of the language. 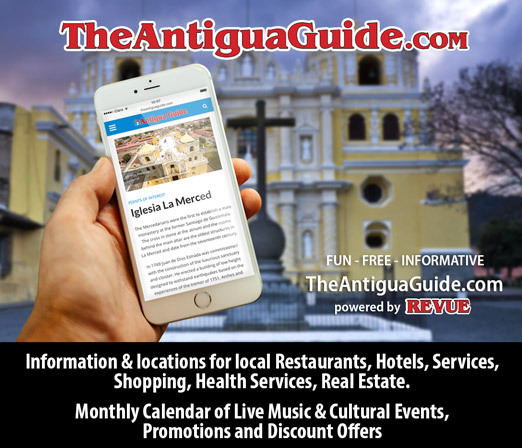 Very few people spoke it and it was too mixed with the Spanish language, not to mention [the loss of] the art of weaving and use of our traditional clothing,” Aspuac said. Before the beginning of this century weaving had been as basic to culture as tortillas were to diet, but many transitions happened after the peace accord of 1996. For one, many women were alone and desperate for income. Many had lost husbands through the thirty-year civil war targeting Mayan civilians and where over 200,000 were killed or disappeared. Women could rely on their weaving skills but they needed a link to markets. The weavers reached out to foreigners to sell their woven products and partnership NGOs were born. “While I was in Chimaltenango late in 1990, Felipa [Xico] showed me the first stack of placemats and forthrightly asked me, ‘Can you help?’ The women can weave but they have no market,” Krause wrote. Krause and fellow volunteers sold the placemats in the U.S. with the hope of opening a market for the weavers’ creations. According to Krause, these were not average placemats but were imbued with messages, imprinted with the story of the war and women of resilience and resourcefulness. As sales in the U.S. increased, additional weavers in Guatemala were employed, and the range of products broadened, leading to the incorporation of MayaWorks in 1996. Many of the partnerships between weaving cooperatives and NGOs of today, such as Sharing the Dream and Mayan Hands, began this way. Over the next 20 years the tenets of Fair Trade, a social movement designed in the late ‘60s in Europe to support commercial growth in developing countries, began changing the face of rural women and girls. Fair Trade principles went beyond free trade market principles to stress community development, capacity building and, first and foremost, education. Along with paying an agreed upon wage, the profits can go toward schools and tutors for the children of the artisans. “Fair Trade Federation rules mean we pay a fair wage. That the price is fixed, not just by us, but a wage they agree to as well. Money goes to support community projects. We work on training the artisans to build capacity so that they can sell not just cloth but [products] in other markets so that it can be sustainable,” said Lauren Vaske, the in-country director of Sharing the Dream. Charly J. Elel Pichiyá, MayaWorks program administrator, says MayaWorks supplies tutors and scholarships to the daughters of the artisans. This is the “secret” to MayaWorks’ success. “The girls of MayaWorks, the daughters of the artisans, have scholarships that start in kindergarten. They are very important for the transition between high school and college. The girls are the human resource of MW for the future,” Pichiyá said. The nonprofit principles emphasizing girls’ scholarship bring the girls to scholarship and homework, a few steps removed from weaving. The factors of increased emphasis on education for girls, less time weaving, and more weaving devoted to producing artifacts other than huipils and cortes create less weavers, less traditional clothing production and disappearing traditions and culture. 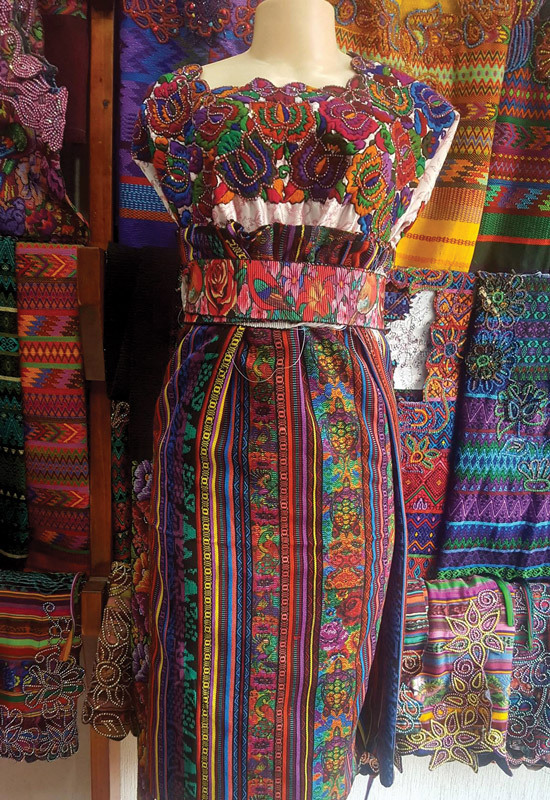 The trend toward wearing less traje and weaving less is apparent to observers of Guatemalan culture. 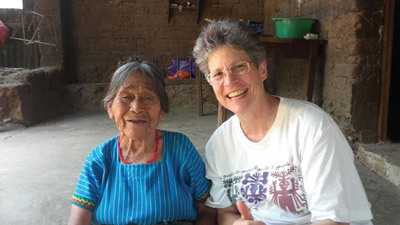 Kathryn Rousso, a Peace Corps volunteer from 1986 to 1989 in San José Nacahuil, an aldea of San Pedro Ayumpuc, recalled that when she first came to Guatemala everyone was a weaver. “When I was first there it was like stepping into a National Geographic pictorial site. Everyone was back behind their houses weaving. 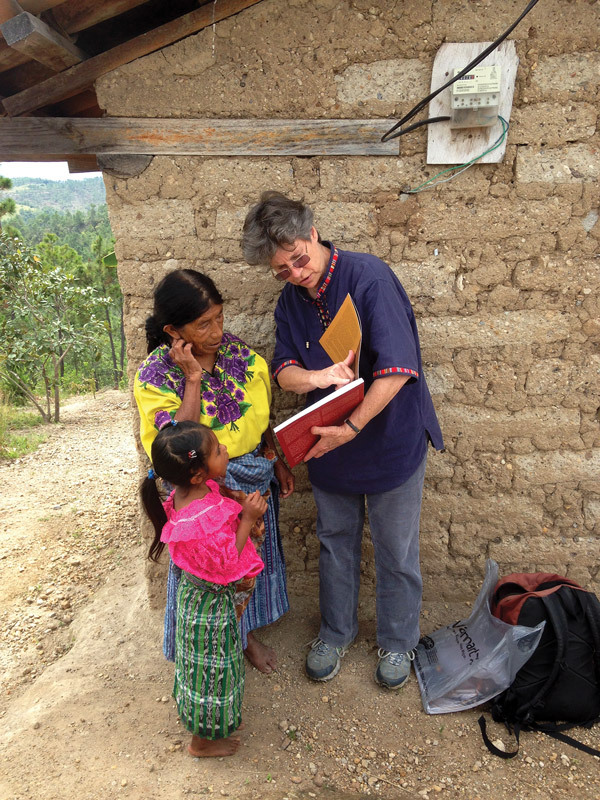 When I went back to my Peace Corps site four years ago, there was only one person who was still weaving,” said Rousso, who in 2010 authored “Maguey Journey: Discovering Textiles in Guatemala” (University of Arizona Press). “What I see happening here is that the change is happening at lightning speed and we are doing it to ourselves. We want less domestic violence, we want less malnutrition, and the root out of all of it is we want education. We are doing everything we can to get girls to be able to go to school, and when they are doing their homework, they’re not weaving and so we are killing exactly what we are trying to save, all at the same time,” Chandler said. Aspuac and the 1,500 members of AFEDES also saw the change and decided to act. “Seeing this lack [of huipils and weaving] created a worry. The fact that there were fewer weavers and we did not know how to make our huipils. It is here where AFEDES created weaving schools,” Aspuac said. AFEDES wants preservation of the traditions that link the Maya with their past and their system of beliefs. Their website tagline calls “the textiles the books the colony was not able to burn.” A Maya woman’s hand-woven huipil speaks for itself. Written in the shorthand of picto-graphics, like an ancient story blog, it tells a sacred tale of traditions, protectors and gods. The textiles carry the stories, the language and the events of the Mayan history. Yet they can be taken out of context, cut up and placed on bags and belts without consequence. There are no laws that protect the art of the huipil from appropriation, which AFEDES considers theft. “It is truly a work of art that encompasses the history of a people, and it is quite painful to see our huipils being made into shoes and other articles without our consent and without any economic benefits for those that produce them,” Aspuac said. In the summer of 2016 AFEDES initiated a legal petition to have the designs and colors protected from theft and appropriation through copyright laws. “We cannot remain as women spectators as the world moves on and profits and appropriates our creations. That is the more serious issue, if companies can patent, in their name, textiles and works that belong to the people and towns [of Guatemala]. Our position is that the indigenous people, the creators of the textiles are the ones that should control, administer, and make decisions regarding our weavings, it is not the state,” Aspuac said. Passage of the law, called initiative number 524, reforms the law of rights of authorship and industrial property and names the indigenous people as “fourth author collectively.” The law has created circles of controversy with many speaking out against its passage. NGOs are worried that passage of the law could add unnecessary overhead. “If it is approved it would affect MayaWorks economically. It is causing doubt and confusion. Maybe the law is coming with good intentions but because of the doubt we don’t know how it will affect us in the future,” Pichiyá said. Chandler believes in the spirit of the law but is against the terminology used. “But what worries me most, and most makes me want to keep as far away from all this as possible, is that in their letter of justification for why Congress should consider this proposed law, AFEDES (or whoever is taking responsibility) wrapped this proposal in a mantel of racism, claiming that, ‘Because colonial rationality tends to separate the weavers from their fabrics or the artists of their arts by the force of racism, it gives a lucrative value to the textiles and a degrading treatment to the weavers, thus provoking a rupture in the deep bond of women with their creations (translated by Google translator).” So, if I oppose the law I’m a racist? Sounds that way to me. As you might imagine, I don’t like that,” Chandler said in an email. 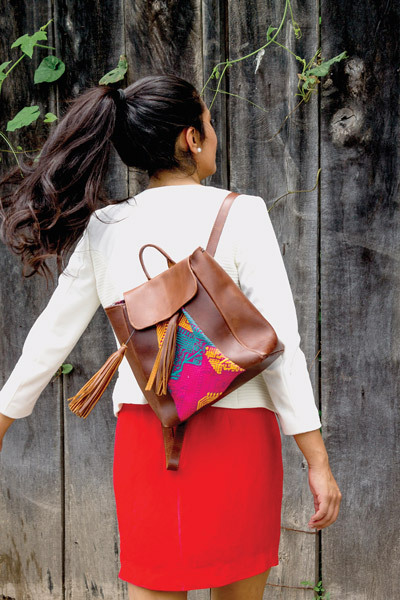 Backpack made of brown leather and huipil. For-profit companies that use the textiles are less worried about the law. Alida Boer, the founder and owner of MARIAS, a handbag company that commissions original textile designs for pocketbooks and purses, says that the law will backfire on the artisans. “The women [artisans] we work with are kind of against what the others are doing because they don’t understand why they would do something that would stop the economy. As a brand, we will keep innovating. It won’t affect us. Yes, we love the women, we work with textiles but we can go from using textiles to using another type of thing,” Boer said. Many new, young artisans are making art with the loosening of boundaries around the textiles. 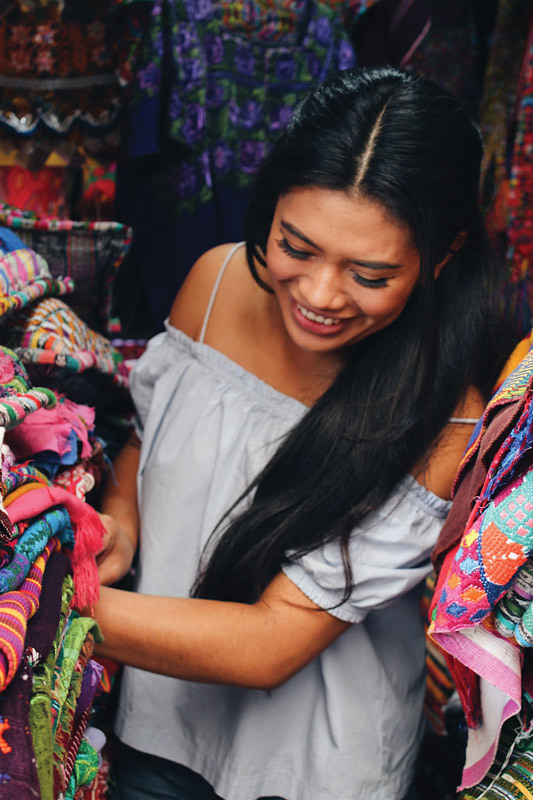 Many, whether Maya or not, are using the rich textile history of Guatemala in combination with new materials and modern designs, creating a product that integrates both cultures. 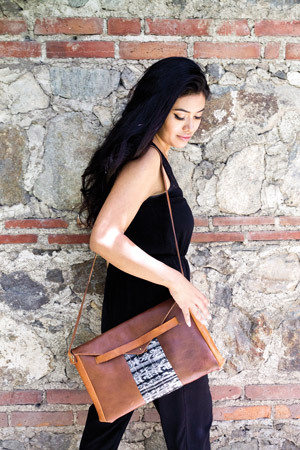 Kolt Handmade, a La Antigua Guatemala company founded by Stefanie Richmond, is an example of this weaving together. “I’m Guatemalan. I need to represent my culture because it’s so rich. If I can do that with this tiny bag, it was a no-brainer at that point for me to do that.” Richmond said. 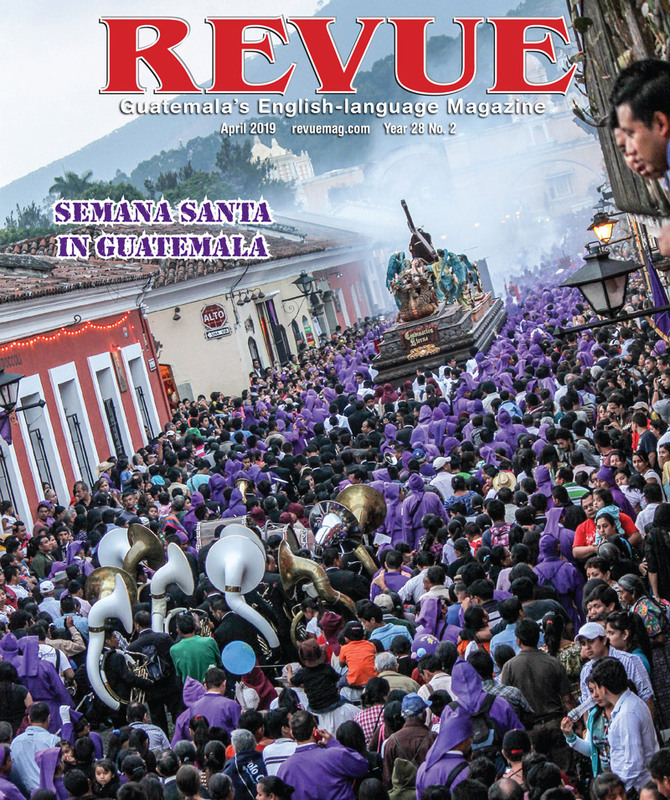 As a native Guatemalan, Richmond said that the history she learned in school did not reflect accurately on the truth of the Spanish conquest of the Maya. “They teach you that [the Spanish] came over here, so it’s like the Spanish are the best, and the Spanish just came and the Mayan were uncivilized and the Spanish put clothes on them,” said Richmond. And yet the struggle continues over who can claim ownership of what colors, threads and shapes. 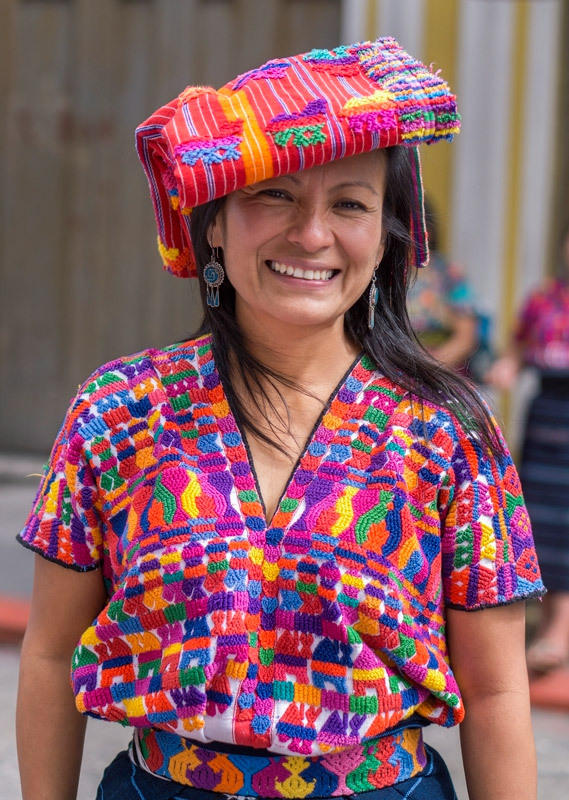 Aspuac says the María’s of Guatemala, the indigenous women who are called María as an epithet as a way to make them into servants, will fight for the right to have their heritage and artistry protected. “The term María is a pejorative for indigenous women because it is like not having a face, it is synonymous with ignorant, dirty, illiterate, and a lot of other names that are an offense to us. We got organized and some lawyers supported us and we went to the magistrates of the Constitutional Court to present this problem. It will probably reach the republic’s Congress so that a law that protects our creations can be enacted, that protects our intellectual right,” Aspuac said. “People have been ripping them off over years and years. It should be copyrighted,” said Rousso. But for Richmond and Boer there is no conflict. As long as the artistry of the huipil is available they will use it to make products that cross cultures. For Richmond this is part of being an entrepreneur in Guatemala. “I come from Guatemala, a beautiful country, where you hustle,” Richmond said. For more information visit Women’s Association for the Development of Sacatepéquez (AFEDES), a grassroots organization that began in 1985 and now boasts a membership of 1,500 women. A mailman bag made of brown leather and huipil. I may be writing out of ignorance. Personally, I believe it will be difficult to copyright the designs. However, maybe a better way forward, is to deal with the issue like champagne & Cumberland sausage has been dealt with in Europe. Then the Guatemalan govt. could provide licences upon the production of the designs. Wonderful products! It will be too bad to destroy this art! And leave it unprotected! This type of design is amazing! I can’t believe are throwing this away this beautiful tradition. People still need handmade bags, clothes, and so on.